This kale salad with lemony tahini dressing is the perfect winter salad. 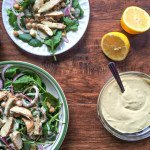 The lemony tahini dressing is packed with flavor and tastes delicious with kale salad. I am a big fan of kale and I grow it every year but unfortunately, I forget to use it. Both my husband and my father in law smirk when I plant it. They wonder why I bother. Now that it’s winter and my kale finally died, I have a craving for it. Go figure. Lucky for me that Aldi has a nice organic baby kale and I used it to make this Kale Salad with Lemony Tahini Dressing. I love this dressing. It goes perfectly with the kale, chickpeas and chicken to make a simple, delicious winter salad. Kale is one of the best greens to add to your diet. Actually, it’s one of the most nutrient dense foods around. One cup has 206% of the RDA of Vitamin A, 684% of Vitamin K, 134% of Vitamin C and many more nutrients. Here is a great article to read more about the benefits of kale. I used kale in this salad because it’s so healthy but also because I think it is delicious. It’s a nice sturdy green that holds up well to this thick, lemony hummus-like dressing. And if you use the baby leaves, they are both tender and sturdy. I made this dressing a year or two ago and forgot how very, very tasty it is. I need to find new things to eat with it because I like it so much. I think it could even be a great dip. It’s thick, lemony, garlicky, cheesy and has a bit of curry flavor too. In this dressing I used avocado oil, lemon juice & zest, yeast flakes, tahini, garlic and curry powder. Just add everything to a food processor and whiz. You end up with this nice thick, bright dressing. I used baby kale but if you only have the big leafy kind of kale I would suggest ripping the leaves away from the woody stems and cutting it into bite size pieces. Then massage the leaves with a bit of oil and let it sit for a few minutes. This will make it more tender. I made an Apricot Pecan Kale Salad and that post goes into a little more detail about the kale. To make the salad, just add some chick peas and thinly sliced onions to your baby kale and top with sliced chicken. At the last minute I also added some toasted pumpkin seeds but that is optional. So there you have it, the perfect winter salad to have for dinner! Add all ingredients to a food processor and blend on high. Arrange kale, onions, chickpeas on a plate and spoon dressing over top. Garnish with sunflower seeds or pepitas (pumpkin seed kernels) if you wish. I’m sorry but I do not have guest posts at this time. Such a nice healthy recipe that I would love to try. Thanks Amira! I hope you do and that you like it! Love this combination. So healthy and it looks soooo good. Just hand me a spoon and a bowl of that dressing please. Haha! I feel the same way Wendy! That dressing sounds delicious! So creative! Delicious, love the flavor combo and anything with lemon-count me in! Awesome salad! I made a salad with a tahini based dressing and it was so good! This sounds great too! 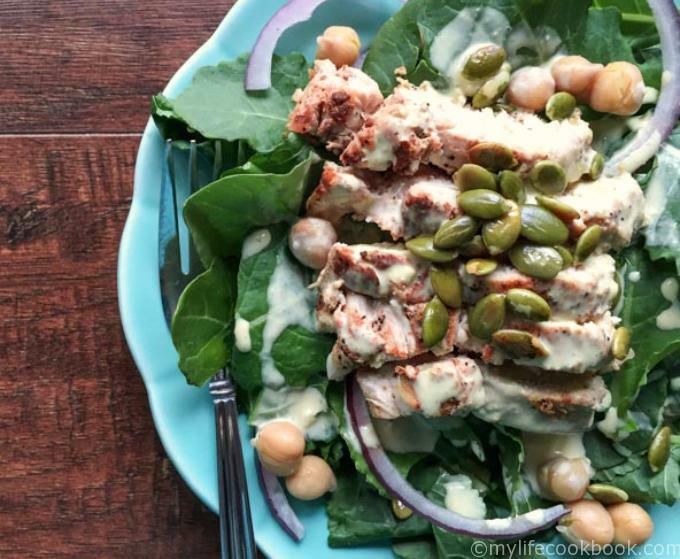 This is the only tahini dressing I’ve made but I’ll be using it tahini more in my cooking. It’s really delicious! What a great salad! The dressing sounds amazing. 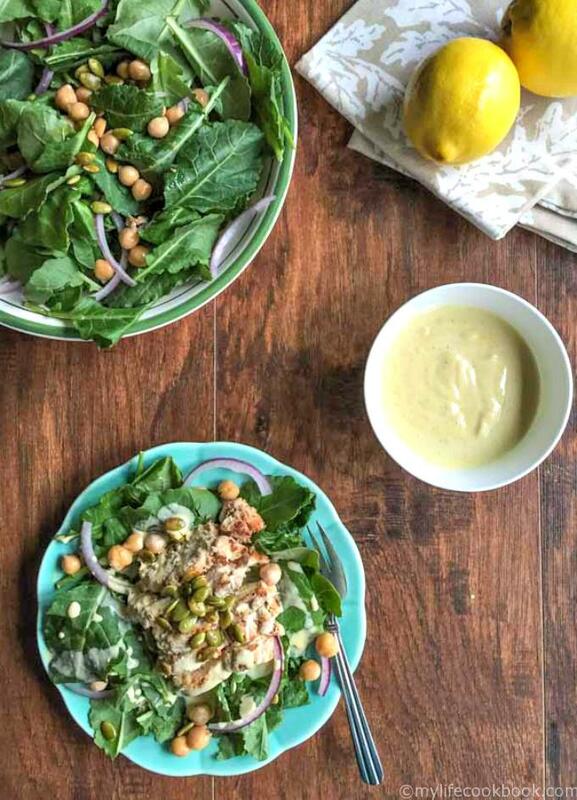 I love the lemon and curry combination in the dressing – what a nice complement for the kale and chickpeas. Thanks Lynne. I really like it….it’s a bit like hummus in a salad dressing! YUM! 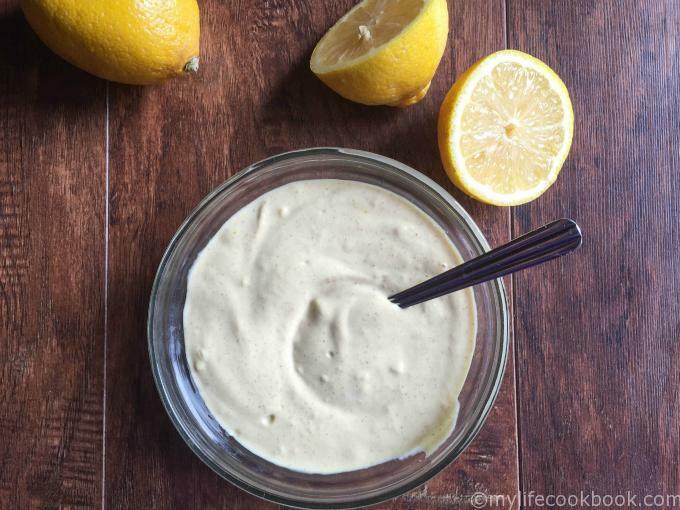 The lemony dressing sounds perfect with a kale salad! Thanks Liz, to me that’s the best part. Hi Denise, this sounds like my dream salad, kale with a lemony tahini dressing. Beautiful! I love how nutritious this salad is. 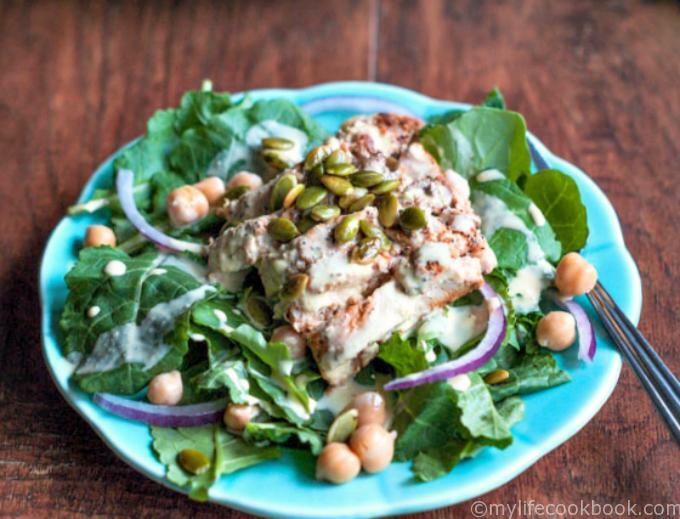 It’s packed with a lot of my favorites, including tahini and I know my family would enjoy it! This one is on my must make list! I am really loving tahini lately. I have to find more things to do with it. Thanks for stopping by Renee!